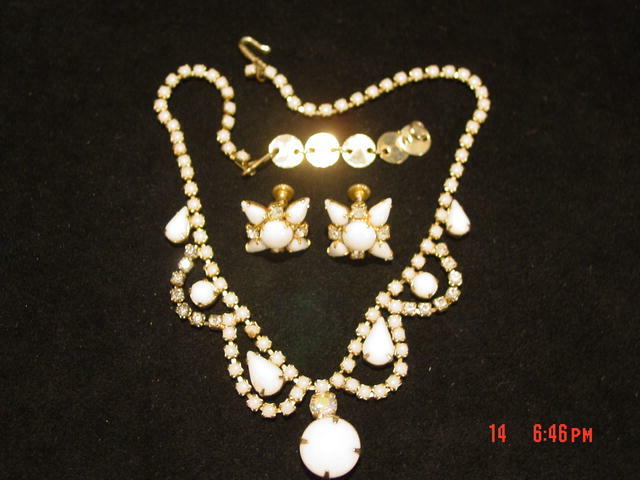 This is a lovely, vintage goldtone milkglass bead necklace draped with two strands each of milkglass beads and rhinestones. Set between the strands are teardrop milkglass and round milkglass beads. 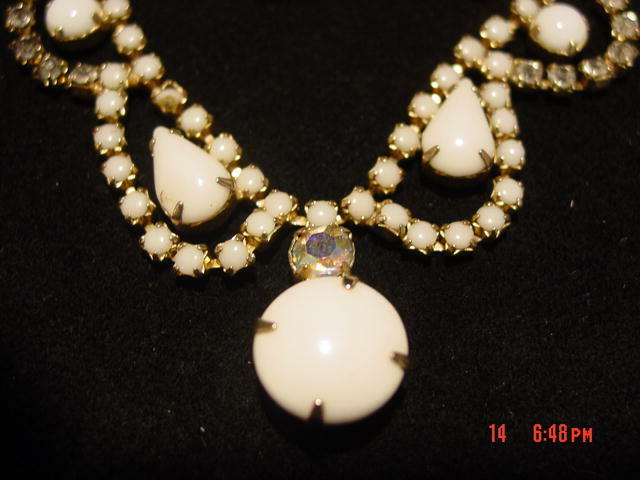 Centered between them is an aurora borealis rhinestone and a large round milkglass bead. All of the beads are prong set. Several of the rhinestones have turned darker, but they blend in so well together. The screwback earrings are centered with a round milkglass bead and edged with four teardrop milkglass beads and four small rhinestones. 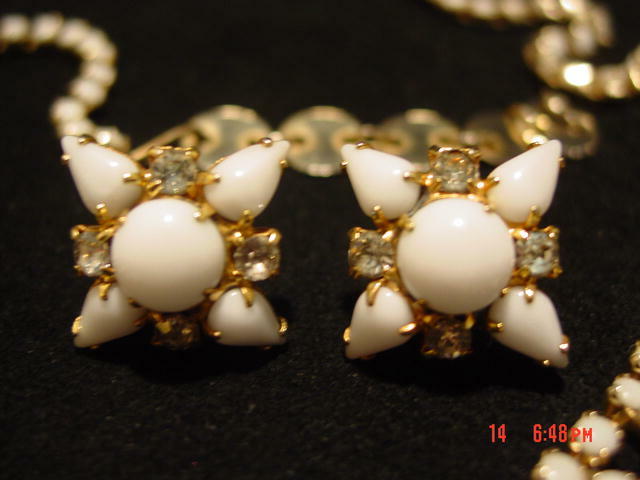 There are no flaws to any of the milkglass beads. The hook is signed but I can't make out the name. This is such a beautiful set and one you would just love to wear! Items Similar To "Milkstone, Aurora Borealis & Rhinestone Demi Pa"